The Budget SLP: Bugs - Just Crawling with Ideas! Spring is here and the bugs have arrived in full force. 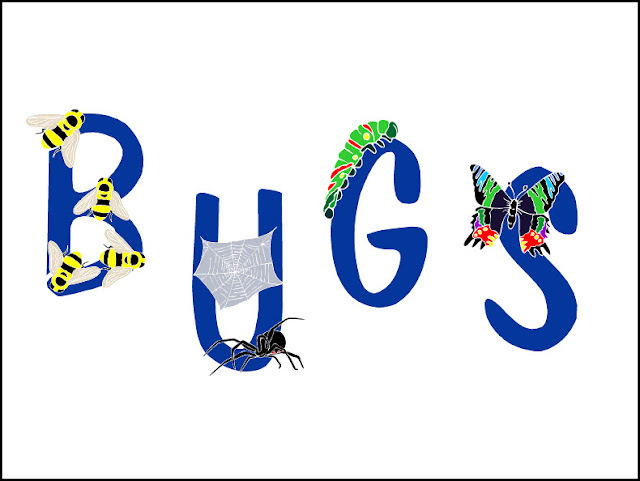 Bring some of those bugs into your therapy sessions with these links and activities. Download Bugs, a PowerPoint book. Target verb tense, plurals, and increasing sentence or phrase length. Show this book on a computer or whiteboard and make the bugs move fast or slow. Click here to get a printable version of the book. Tell locations of bugs found during a bug hunt. Use a magnifying glass to look at toy bugs while describing. Jim Parsons on Sesame Street - "Arachnid"
and bugs and worms appear. Great for cause and effect. 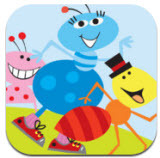 Sing or Read along to The Bugs Go Marching by Creative Teaching Press, Inc. Build a bug, tell what's missing, and more. Miami – Dade County Public Schools has a Cheaptalk 8 overlay and a TechSpeak overlay for The Hungry Caterpillar. If you are talking about spiders, find Visuals for the Itsy Bitsy Spider here. You will need Boardmaker to download these. Story props, at Kizclub for Bugs, Bugs, Bugs and The Very Hungry Caterpillar can be used as visuals, in whiteboard activities and more! Printable books Ladybugs Everywhere and Ants Everywhere are found at Chapel Hill Snippets. Graphics from My Cute Graphics and Microsoft.com.